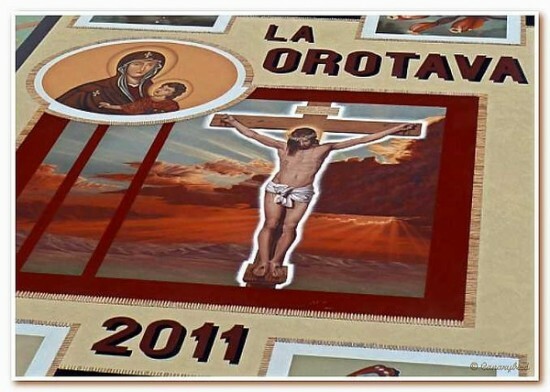 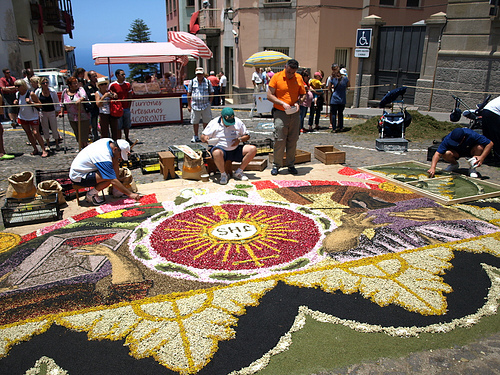 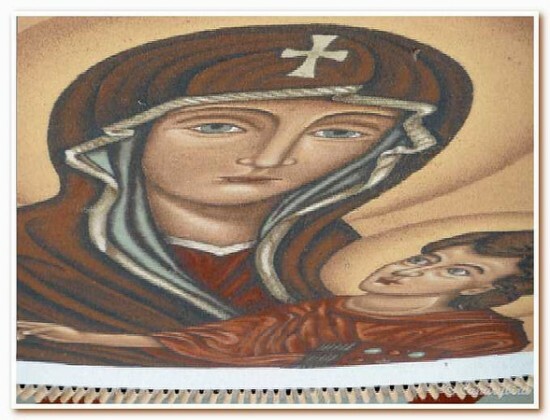 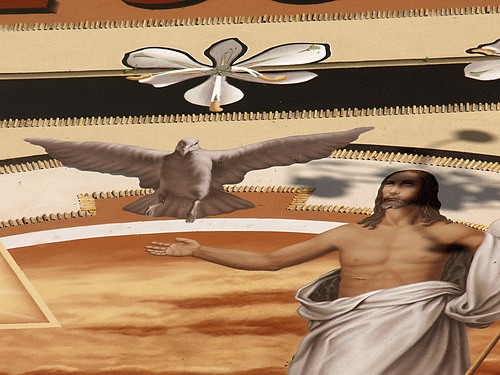 The most impressive carpet in all of La Otorava is the one created in the town’s Plaza del Ayuntamiento, representing three biblical scenes. 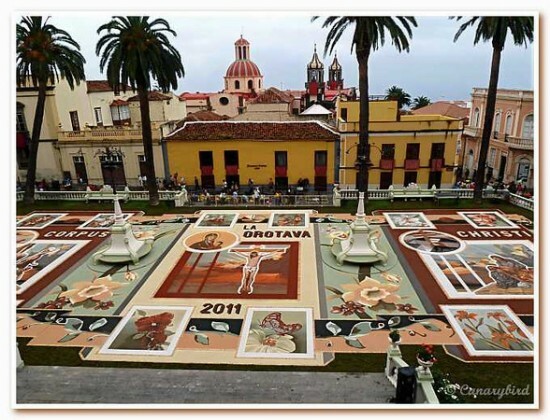 This special carpet is made entirely from colored volcanic sand, covers an area of 912 square meters, and the scenes it depicts are never repeated in the following years. 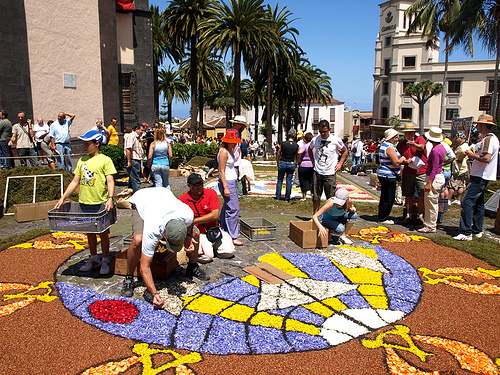 This year, the celebration took place on June 30. 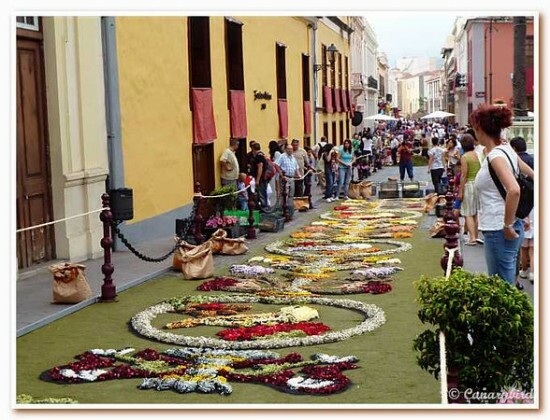 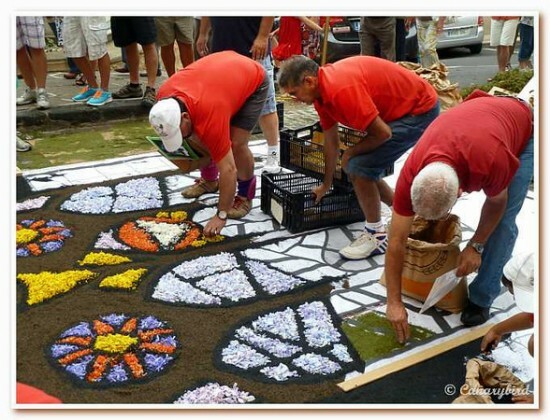 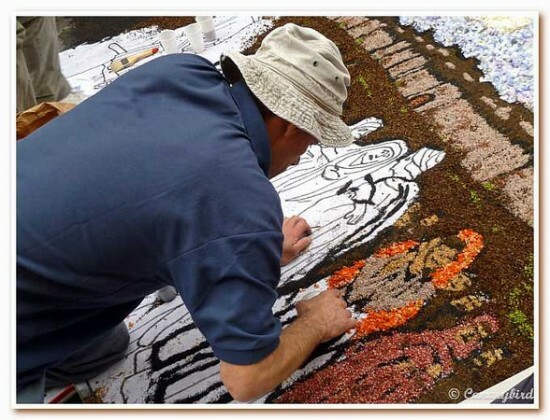 The flower and sand carpets of la Otorava have become so popular that the most talented alfombras travel all around the world, displaying their unique skills.